ST. GEORGE — Simply Birth at Dixie Regional Medical Center is hosting an open house on April 29 and accepting applications from women interested in a homelike, low-intervention, lower-cost, natural childbirth experience. These birthing suites offer women a more homelike atmosphere for low-intervention childbirth. Simply Birth features two birthing suites beautifully appointed with queen-sized beds, private bathrooms, large bathtubs, and kitchenettes. “Come let us see if we can exceed your expectations for a natural childbirth experience,” said Amy Christensen, Director of Women’s and Children’s Services at Dixie Regional. An open house will be held on April 29 from 11:30 a.m. to 1:30 p.m. for those interested in touring the facility. Simply Birth is located in the Women’s and Children’s Center of Dixie Regional Medical Center’s 400 East Campus. The nearest entrance for the open house is the entrance on 300 East. Simply Birth is not an option for everyone. Expectant women are encouraged to discuss the Simply Birth experience with their OB-GYN provider to help decide what birthing options are best for them. Several other low-intervention childbirth options are also available to women who are not candidates for Simply Birth. Candidates must be considered low-risk and will be required to take one or two birth services prep classes in advance. The classes teach techniques for natural, unmedicated childbirth as well as discharge directives for the care of a newborn. 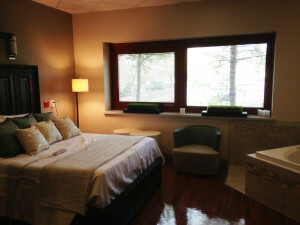 Women laboring in these suites can expect a natural childbirth experience but also know that medical assistance is available should it become necessary. Mothers who deliver at Simply Birth can also expect a shorter stay afterward. When: April 29, 11:30 a.m.-1:30 p.m.
Perspectives: Is home birth an antisocial act?